Moreover, last year’s vacation with my family touring Greece — paying specific (though certainly not exclusive) attention to important historical or philosophical sites — rekindled my passion for all things Greco-Roman (the photo accompanying this essay was taken by me at the Stoa, the open market in Athens where the first Stoic, Zeno of Citium, taught, and from which the school gets its name). Meanwhile, I had also heard of “Stoic Week” an annual event (and associated sociological study) organized by the University of Exeter. My initial reaction to it was somewhat skeptical, but I’ve now become a regular follower of their Twitter stream and blog . Finally — and I don’t mean to sound morbid here — but, I need to start preparing for my own death. I just turned 50, and though I fully expect (fate permitting, as the Stoics would say) to live a few more decades, death has always been on my mind, as it should be according to the followers of Zeno of Citium. So I have been searching for an approach that would help me in that direction, while at the same time also allowing me to improve my eudaimonic quest  in the meantime. Now of course I’m not as naive as to think that one can rely on a single philosophical system as guidance to life, the universe and everything. Nor do I think that one can simply import ancient Stoicism in our technological, scientifically informed world and be done with it. So what I’m trying to develop is what others interested in the subject have been after for a while: a type of neo-Stoicism that maintains as much of value of the original idea as possible, but takes on board the best that humankind has been able to achieve and discover in the intervening 23 centuries. It’s an ongoing project, but I’d like to share a few components of it in this post, and likely others that will follow now and then . The general theory of Stoicism is that we can, and indeed, ought to live our lives with structure and coherence, and that life is like an ongoing project aiming at an ideal (though likely unachievable) set of targets or aspirations. What matters, for the Stoics, is the way we go about achieving our goals, not so much what those goals are. This is done through the pursuit of virtue and excellence (arete, in Greek). The Stoics thought that the virtues express the fundamental qualities of a human life, and — like most other ancient Greeks — acknowledged the existence of four (so called “cardinal”) virtues: Courage, Justice, Self-discipline, and Wisdom. For the Stoics, human beings are naturally social beings, and a good, eudaimonic life requires the development of an expanding circle of concern that starts with the Self (both mind and body) , easily and naturally includes family and friends, and one should practice its expansion to fellow citizens, humankind at large, and eventually nature as a whole. The Stoics referred to this concept as “philanthropy,” or love of humanity. By and large, Stoicism is a philosophy that emphasizes good emotions and works toward controlling negative ones. In a sense, it is a philosophy of love and concern. Curiously, the most famous fictional Stoic is Spock from Star Trek. Gene Roddenberry said that he created Spock on the Stoic model, although he also added that he “took the perfect person and divided him into three, the administrative courageous part in the Captain (Kirk), the logical part in the Science Officer (Spock) and the humanist part in the Doctor (McCoy)” . A foundational Stoic precept is to make the distinction between what we can affect (our own attitudes and actions) and what we cannot (external events). Happiness then is available to the person who focuses on what s/he can control. This is achieved by way of the general practice to “follow nature,” by which the Stoics didn’t mean anything like tree hugging or the Paleo diet, but rather both developing the natural human propensity for reason, and accepting that whatever happens is in accord with the way the world works, and it is therefore irrational to oppose it or to become upset by it. Ethics, which was conceived as the study of the nature of the good and how to achieve a eudaimonic life. Logic, which included the study of formal logic, dialectics (the art of discourse), and a theory of knowledge. Physics, which comprised both what we today would call the natural sciences and metaphysics. Let me say a little bit about each of these, especially in terms of bringing Stoicism up to date while attempting to remain close to the spirit of the original insight. The Stoic conception of ethics was, of course, mainstream in ancient Greece and Rome, and significantly different from what modern philosophy means by that term. However, I think the ancients had it right (or better) in this respect. While we think of ethics as the business of figuring out what is the right (or wrong) thing to do, the ancient Greco-Romans understood it to be the quest for guidance on how we should live a meaningful existence, and for them this was absolutely coupled with being moral, cultivating the virtues, and pursuing excellence. The latter seems a bit elitist, and it partly was in the Greek world, but it can also be conceived as trying to do best what one is good at or inclined toward. You like music, philosophy, sports? Then strive to become the best musician, philosopher or athlete you can. Becoming the best mass murderer or tyrant, however, is not an option, because that would not be a virtuous and moral life. In terms of logic — which they understood much more broadly than the modern academic discipline — the Stoics thought it was important because of their belief that the defining characteristic of humanity is reason, and that only reason (most definitely, by the way, not conceived as opposed to emotions, but only to destructive emotions) can get us on the eudaimonic track. As such, it then becomes important to study and practice logic, as well as to develop a theory of knowledge. Incidentally, the Stoics were very successful in this. In fact, the Stoics, such as Chrysippus of Soli, seem to have endorsed a type of deflationary view of truth, and were particularly interested in the “sayables” — i.e., in whatever underlies the meaning of everything we think. A subset of sayables is constituted by the so-called assertibles, which are characterized by truth values. The assertibles in turn are the smallest expressions in a deductive system, so including them in one’s logic gives origin to a system of propositional logic in which arguments are composed of assertibles. The Stoics also developed a system of syllogisms, and they recognized that not all valid arguments are syllogisms. Their syllogistics, however, is different from Aristotle’s, and has more in common with modern day relevance logic. These two traditions in Greek logic, the so-called “Peripatetic” (i.e., largely Aristotelian) and Stoic were brought together by Galen in the 2nd Century, who made a first (and largely incomplete) attempt at synthesizing them. After Galen, Stoic logic pretty much disappeared from view by the 6th century CE, to eventually re-emerge once again during the 20th century because of renewed interest in propositional logic . What about metaphysics? At first glance, Stoic metaphysics seems hopelessly out of date. While one shouldn’t pay too much attention to talk of Zeus as the father of mankind (since the Stoics pretty much thought of Zeus as equivalent not just to God in general, but more broadly to Nature itself), it is unquestionable that Stoicism is steeped in teleology, or the idea that final causes operate in nature . Now, try for a minute to set aside your skeptical, secular 21st-century attitude and see how this idea can be translated into modern terms without incurring in all too easy a posteriori rationalization. Indeed, notice that what I’m about to suggest is most definitely not what I think the ancient Greco-Romans thought, but rather a reasonable update of their thinking given modern science and philosophy. c) There is a fundamental unity, or interconnectedness, of all things. A modern rendition of the above would say that the universe is understandable in logics-mathematical terms (a), that it works according to general exceptionless laws (b), and that it is described by a single wavefunction, to use quantum mechanical terms (c). More speculatively, of course, one could even say that Stoicism is compatible with (but doesn’t depend on) stronger ontological notions, such as mathematical Platonism ; more radical metaphysics, such as ontic structural realism ; and even highly speculative philosophical ideas like the simulation hypothesis  — about all of which, as readers of SciSal know, I maintain various degrees of skepticism coupled with an open interest. 1) Early morning meditation: take 5-10 minutes to rehearse the day ahead, repeat a philosophical precept (see #4 below), focus on a specific virtue. Pick a quiet spot for doing this, if possible while walking outside. 2) Contemplation of the ideal Sage: make a list of people you admire, pick a role model and ask yourself what s/he would do in specific trying circumstances. 3) The stripping method: bring to mind a situation of interest, break it down into its bare components to see clearly what it actually consists of, stripping away the unimportant details that may cloud your judgment. Ask yourself what’s the ethical core of the situation and which qualities (virtues) are required to deal with it. 4) Retreat into oneself: find a place where you are not likely to be disturbed for 5-10 minutes; chose a Stoic maxim to focus on, such as “Some things are under our control and others are not.” Become aware of your surroundings and close your eyes. Focus on your breadths and mentally repeat your maxim. 5) Concentric circles: close your eyes and imagine a circle of light surrounding yourself. Slowly expand the circle to include your family and friends, your fellow citizens, and eventually the whole of humankind. 6) The view from above: visualize the big picture, your place in the cosmos. 7) The philosophical journal: write ethically-focused diary entries to try to relate what is going on in your life to your overall ethical framework. 8) Bedtime reflection: take 5-10 minutes before going to bed to review the day and its main events. It helps to keep a written journal for this exercise (see #7 above). Ask yourself what you did badly, what rightly, and what you omitted. Think about how you could do better, and praise yourself for what you did well. The above list sounds eminently practical, and most definitely neither mystical nor “new agey,” to me. If you are not convinced, just keep in mind that Stoicism directly inspired Albert Ellis, the founder of Rational-Emotional Behavior Therapy , as well as its successor, Cognitive Behavioral Therapy . The latter, incidentally, is one of the few forms of psychotherapy for which there is strong empirical evidence that it actually works in modifying people’s behaviors, attitudes, and emotional responses . Now if you will excuse me, I need to do my bedtime meditation. Rationally Speaking podcast #48, Philosophical counseling. If you know of anyone who is interested in my version of philosophical counseling, feel free to refer them to me. I offer both in-person and remote sessions. Here are the details for the 2014 edition of Stoic Week, to be held in London. This is the Stoicism Today blog from the University of Exeter, and here is their Twitter handle. Meanwhile, if you’d like the capsule version of both the theory and practice of Stoicism, download my Stoicism, the very basics. Although there are many similarities between Stoics and Buddhists, a major difference is that the former, very much unlike the latter, thought that there was a self that defines every human being. Stoicism & Star Trek: Think like Spock – Act like Kirk, by Jen Farren. The ancient logic entry in the Stanford Encyclopedia of Philosophy. The Wiki entry on teleology. For better scholarship on Stoicism, see the appropriate SEP entry. Platonism in the philosophy of mathematics, SEP.
 Ontic structural realism, according to James Ladyman and Don Ross. On REBT check out the Albert Ellis Institute. The Mayo Clinic on Cognitive Behavioral Therapy. Looking for evidence that therapy works, by Harriet Brown, The New York Times, 25 March 2013. 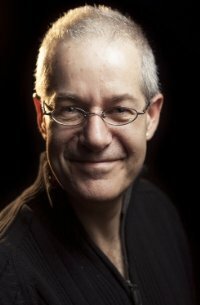 In the area of public outreach, Prof. Pigliucci has published in Philosophy Now and The Philosopher’s Magazine, among others. He edits Scientia Salon web magazine and co-hosts the Rationally Speaking podcast. For more information, see Massimo’s website: platofootnote.org. Having had only a very basic education from 4-17 much of your article went right over my head although I did read it all. I also dislike Star Treck so could not touch base with that – however your conclusion I did understand and agree it is not a modern gimmicky thing – we have had the Ignation Spiritual Exercises for Centuries the Awareness Examen – these too together with Benidictine Spirituality have been giving Christians meaning and structure in their daily lives. With this background I have really enjoyed taking part in both Stoic week 2013/4 and the Mindfulness and Resiliance training back in the summer which have enriched my life – the blogs and postings by Patrick help to keep us on our toes and provide certainly for me a platform to increase my understanding of Modern Stoicism. Thank you for your blog. One striking comment in this excellent article is that Stoicism encourages the finding of a structure for life. Almost everyone I know as no structure to their lives that isn’t material. And as Stoicism teaches, possessions, status and fame, make an insecure underpinning for life. When one of these goes the despair starts. Stoicism studied with care may not provide a complete antidote but it does offer a great deal of support and solace.